Includes an antenna for increased coverage, 3.5mm audio jack for discreteness, volume switch for flexible use and 30"straight cord assembly. This microphone also has a number of advanced audio features. IMPRES audio enables communication between the microphone and radio, optimizing the microphone's speaker output and microphone sensitivity, resulting in more consistent output across all radio accessories. The windporting feature dramatically lessens background noise from high winds and other severe weather conditions. 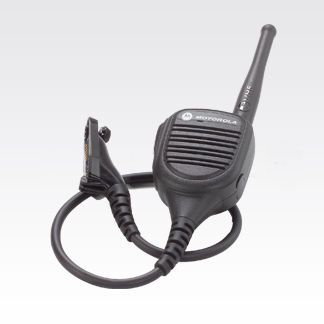 The PSM is sold separately and are listed in the antenna section of this catalog.